NIA CHARLESTOWN NEVIS (April 26, 2018) — The Department of Fisheries in the Ministry of Agriculture on Nevis has a new Director. Lemuel Pemberton, a former worker who spent 10 years as an officer there, was appointed to the position one month ago. Hon. 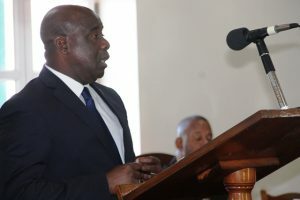 Alexis Jeffers, Minister of Agriculture on Nevis, announced Mr. Pemberton’s return to the department in his new capacity while making a statement at a recent sitting of the Nevis Island Assembly. His return has already began impacting the department positively. “He brings to the job a wealth of knowledge, expertise and I believe he has been in the field for many years, so I know that department would be in good hands. “We have made a change and a welcome change, and in one short month we have seen some improvement in terms of the staff morale and also the interaction with our stakeholders which are the fisherfolk,” he said. 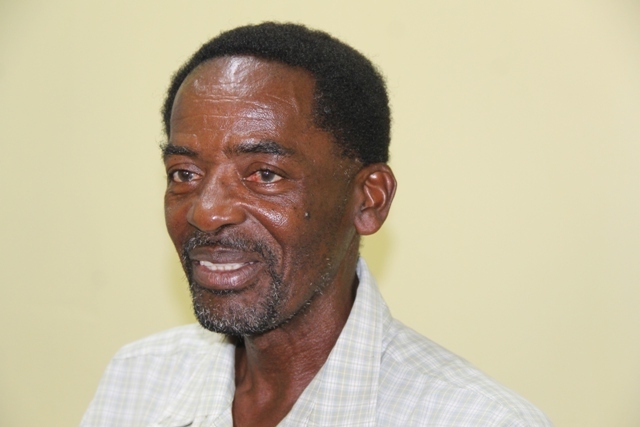 Mr. Jeffers stated that Nevis has suffered because the department had lost connection over the years with the Department of Marine Resources in St. Kitts. The fishing industry here has suffered as a result. He said staff at the Department on Nevis did not have the opportunity to benefit from training and programmes, however, their counterparts in St. Kitts continue to benefit and move forward from the training available to them. The Agriculture Minister expressed hope that in the short term the stagnation which the department has suffered over the years would be rectified under its new director. Meantime, Pemberton told the Department of Information on April 25, 2018, that he has been involved in the fishing industry for about 40 years. He worked at the department from 2001 to 2011 so returning in his new capacity was not difficult. “It is something that I have done before. So I feel right at home coming back to work in the Department of Fisheries. “As a matter of fact some of the persons who were working here when I left they are still working there, so it doesn’t seem as a strange place to me, like a new position, because it is something that I have done before,” he said.